Kerri Sparling has been living with type 1 diabetes for over 27 years, diagnosed in 1986. 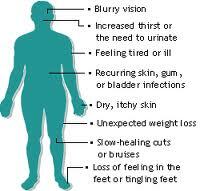 See a physician if you experience all or most of those symptoms. 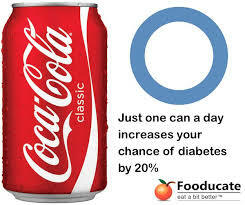 Diabetes is a demanding disease that requires day-to-day and hour-by-hour management. 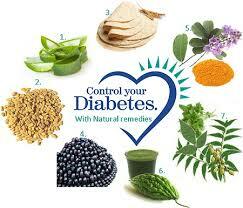 Eating nutritious foods is key to diabetics and non-diabetics in order to stay healthy. 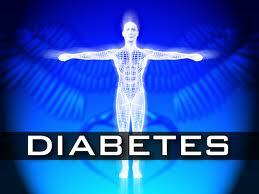 Now, there is integrated technology to help millions of Americans living with diabetes better manage their disease. A NEW FDA-APPROVED, INTEGRATED INSULIN PUMP AND CGM TECHNOLOGY HELPS STREAMLINE DIABETES MANAGEMENT. Kerri Sparling, the author of one of the first and most widely-read diabetes patient blogs Six Until Me talks to MedCrunch about her experience. Kerri has been living with type 1 diabetes for over 27 years. 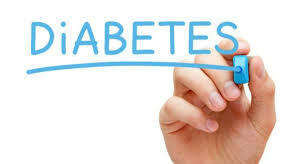 Kerri is joined by diabetes management expert Dr. Korey Hood. Dr. 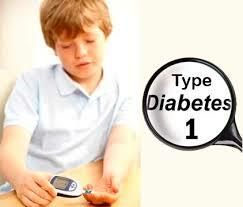 Hood works closely with people with type 1 diabetes (T1D) in clinical, research, and advocacy settings. Kerri and diabetes management expert Dr. Korey Hood discuss what this significant approval means for those living with insulin-dependent diabetes. The Animas® Vibe™ Insulin Pump and Continuous Glucose Monitoring (CGM) System for the management of insulin-requiring diabetes was developed by Animas Corporation. The Animas® Vibe™ System is approved for use for adults over 18 years of age. 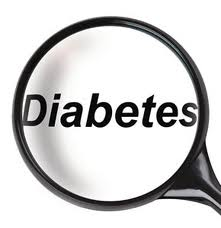 As an integrated system, it allows patients to view glucose data and administer insulin right from the pump; simplifying and aiding their ability to make more informed decisions to fine tune insulin delivery and manage their diabetes. The Animas® Vibe™ System is intended to complement, not replace, information obtained from standard home glucose monitoring devices. Kerri is a passionate advocate for all-things diabetes. She is the creator and author of Six Until Me, one of the first and most widely-read diabetes patient blogs, reaching a global audience of patients, caregivers, and industry. Outside of her blog, Kerri’s work can be found at diaTribe, Animas, and in diabetes outreach like JDRF’s Countdown magazine, in addition to her extensive diabetes YouTube channel. Well-versed in social media and its influence on patients, Kerri presents regularly at conferences and works full-time as a writer and consultant. 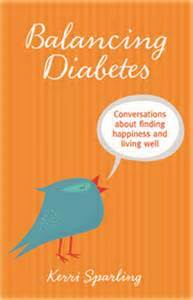 Her first book, Balancing Diabetes, debuted in Spring 2014. 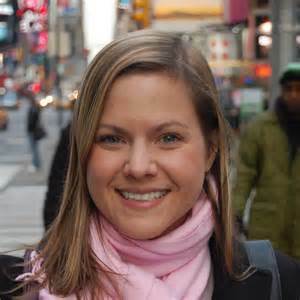 Korey K. Hood, PhD, works closely with people with type 1 diabetes (T1D) in clinical, research, and advocacy settings. Dr. Hood’s academic position is at Stanford University School of Medicine where he directs NIH- and foundation-funded research projects and provides clinical care aimed at promoting health and quality of life outcomes. 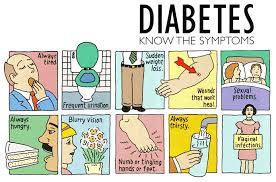 Much of this work focuses on building positive coping and problem-solving skills to prevent diabetes distress and depression, and increasing the uptake of diabetes technologies and social media. He is the chair of the American Diabetes Association’s Behavioral Medicine and Psychology Interest Group, has published over 65 peer-reviewed scientific articles, and is passionate about finding a balance between diabetes management with technology and optimal quality of life for people with diabetes. More than 2.5 million Americans are opioid dependent and opioid addiction has tripled over a 10-year period. As the nation’s fastest growing drug problem, the Obama administration calls opioid addiction an epidemic and a major public health and public safety crisis. But who is suffering may surprise you. A new survey conducted by the nonprofit organization National Alliance of Advocates for Buprenorphine Treatment (NAABT) shows that, while drug addiction may start early on in one’s life, it affects people of all ages and economic standing. And, not so surprisingly close to 60 percent of respondents’ opioid addiction began with treatment of acute or chronic pain. The good news is that novel new treatments may help make it easier for people with addictive disorders to go into remission from this potentially deadly disorder because of more convenient formulations and improved side effect profiles. Experts hope the options will improve treatment compliance and help patients stay off opioids so they can begin the process of rebuilding their lives. 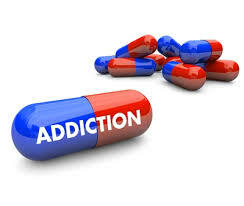 Unfortunately, the survey also showed that 40 percent of patients who were seeking medical treatment for their addiction did not find a physician for weeks or months, and once they did there was a waiting list for 58 percent of respondents and over 25 percent reported obtaining treatment without a prescription. For anyone struggling with addiction, experts urge them to get help. 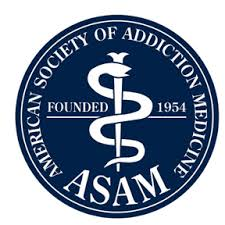 Richard Soper, MD, JD, MS, FASAM, Diplomat- ABAM; has treated, consulted, advised, taught, mentored and counseled for over eighteen years in private practice, Nashville, Tennessee. Dr. Soper is founding editor and current Editor-in-Chief of the American Society of Addiction Medicine e-weekly news journal with 16,000 subscribers. His areas of expertise include childhood trauma, psychopharmacology of addiction, the scientific basis of addiction, substance abuse and medical-legal issues of treatment and addiction. He currently serves on several regional and national medical organizations committees and advisory boards. 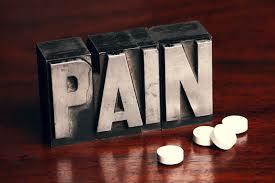 · What is an opiate and why is it so addictive? 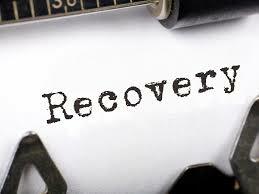 · Who is suffering from opioid dependence and why the surge in recent years? 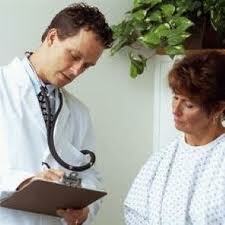 · Why is opioid addiction so difficult to treat? Why do so many patients relapse? 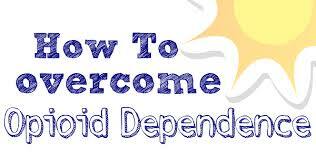 · How is opioid dependence treated? What can you tell us about new treatment options? 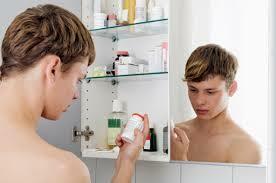 · Why is it so difficult for some patients to find doctors who can/will prescribe this new class of drugs? 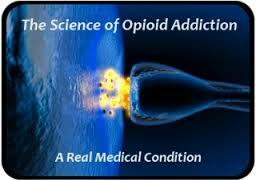 · How do you know if you or someone you love is experiencing an active addiction to opioids? 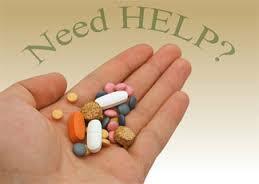 · What is the first step someone can take if they think they’re experiencing an active addiction to opioids? · Where can our viewers/listeners go to for more information? 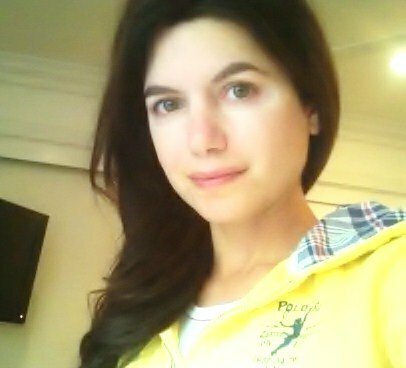 MARIA DORFNER is the founder of MedCrunch, a division of Healthy Within Network (HWN). As temperatures drop this winter, the American Red Cross offers ten steps people can take to stay safe. 3. Remember the three feet rule. If you are using a space heater, place it on a level, hard surface and keep anything flammable at least three feet away – things such as paper, clothing, bedding, curtains or rugs. 10. Knowledge is power. Don’t hook a generator up to the home’s wiring. The safest thing to do is to connect the equipment you want to power directly to the outlets on the generator. We’ll add make sure to use moisturize with SPF. 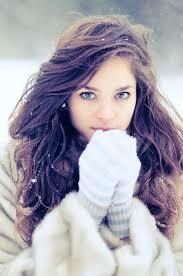 Snow reflects the sun and you can still get burned by sun or wind. Cover all exposed skin to prevent frostbite. Drink lots of water to stay hydrated. Questions? Write to us in comments below. MedCrunch covers what’s hot in health for consumers and is a division of Healthy Within Network (HWN). A few of her credits include being asked to create and host a health series for NBC Universal, writing and producing 21st Century Medicine documentary series for the Discovery Health Channel, developing, senior producing and co-hosting medical programming for CNBC (her program was the highest revenue generating one for 3 years airing weekly on CNBC), health and special projects producer for NBC Miami, launching CCNS (the Cleveland Clinic News Service), helped launch MedPage Today, Healthology, CNBC and NewsMD Communications, working as a reporter for the nationally-syndicated series, Top Cops on CBS (first reality show) pilot and series, and director of research and producer for Roger Ailes production company. She is the author of 3 books including Healthy Within. Her production company, NewsMD provides media training, marketing, publicity and PR services. 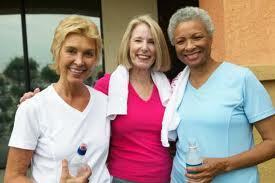 Her clients have included a Who’s Who in health brands. 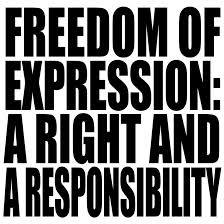 Freedom of Speech is not freedom to bully or to spew vitriol in the name of art. The majority are screaming we must defend freedom of expression by creating comics and articles that are even more deplorable, crass and disgusting than the first ones. The majority isn’t always right. In fact, there are those in the majority wanting to monetize it and profit from it. I have to question anyone in media smiling with dollar signs in their eyes immediately after twelve innocent men have been executed. I saw the comics. I have no desire to share them in the name of freedom. They are not funny. They do not stand for freedom of speech. They are cringe worthy, at best. They gave me that ill feeling I get when I go see a stand-up comic and instead of making people laugh the room gets awkwardly quiet. We do not kill the comic. But we do hope he will know better when performing his next set. Not everything is funny. All great comics know this. They test things. They push limits and boundaries. A smart comic takes notes of what works and what doesn’t and makes adjustments. A lot of political satire is hilarious. A lot of it is not. A lot of it is offensive, disrespectful and trash. My newsfeed on Facebook is littered with filth from people using freedom of speech as their reason for posting the comics after the shootings in France. They call those not publishing the comic cowards. I call them people with good taste, class and self-respect. It’s also hypocritical to be name calling others with differing views. One of my favorite books on comedy is Wake Me When It’s Funny by Garry Marshall. That’s how I felt when I viewed the first comic strip. Wake me when it’s funny. These are senseless killings. The majority of media outlets jump on the bandwagon of airing these images even when the shooters were still missing. Click baiting on social media is desensitizing people to what is respectful and/or truthful. 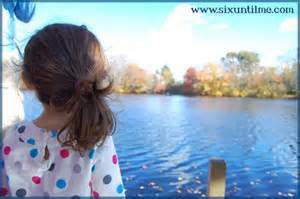 There is also a lack of accountability for words or images and their power to heal or trigger bad things. We saw this with peaceful protests that hypocritically chanted unpeaceful words. Chaplinsky v. New Hampshire (1942) clearly states that so-called “fighting words” to incite a breach of peace are not protected under the First Amendment. Wouldn’t it be wonderful if cartoonists and writers used their talent to promote peace. Wouldn’t it be wonderful for people of different religions to laugh at the same joke. Truth and humor can be revealed without bullying. That would take actual thought before putting pen to paper. Lazy comics resort to crude jokes or cursing. Words and images are powerful. They can hurt. Or they can heal. They can do more damage than physical injury.This morning, I saw another horrific image of Obama. That does nothing to change any policy. Satirical cartoons and all comedy is intended to make people laugh and expose a truth. Although, we all know this can be taken too far. This is the bully we all knew as a kid that uses words, drawings or humor to hurt. Violence begets violence, even if the first bullet is shot from a pen. All weapons need to be used responsibly. Responsibility and Freedom are related. This I can say or do whatever I want attitude is as ignorant as a toddler running into traffic. All our freedoms demand self-responsibility. We are seeing a downward spiral in journalism for no other reason than crude shock value. Write and draw whatever you want. You have that right. But do me and those who fought for your right a favor. Think about it first. People fought and died for your right to do that, so don’t abuse it. 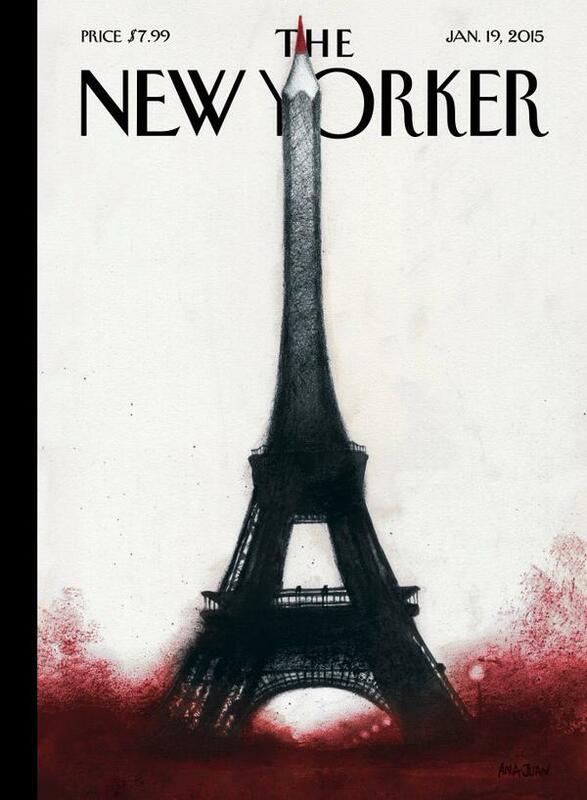 France and the rest of the world needs to know this will not happen again in the name of ideology while at the same time protecting freedom of speech. It may be time to revisit what constitutes healthy communication. I may stand alone in this view (which takes more courage than following the masses), but it is people who abuse their own freedoms. Freedoms are privileges. They are a right that come with responsibility. It’s a responsibility to know the difference between healthy v. hurtful humor. There is a difference. And most people understand this. When tragedies happen there is a bigger message. It is not who wins and who loses. There are no winners. Twelve men are dead. Twelve. The same number of apostles who were messengers. The message is not one of censorship. It is one of respect when speaking and writing. The pen is mightier…use it wisely. What are Human Rights? Here’s a refresher. Such rights are ascribed “naturally,” which means that they are not earned and cannot be denied on the basis of race, creed, ethnicity or gender. These rights are often advanced as legal rights and protected by the rule of law. However, they are distinct from and prior to law, and can be used as standards for formulating or criticizing both local and international law. It is typically thought that the conduct of governments and military forces must comply with these standards. Various “basic” rights that cannot be violated under any circumstances are set forth in international human rights documents such as the Universal Declaration of Human Rights, the International Covenant on Economic, Social and Cultural Rights, and the International Covenant on Civil and Political Rights. The rights established by these documents include economic, social, cultural, political and civil rights. While human rights are not always interpreted similarly across societies, these norms nonetheless form a common human rights vocabulary in which the claims of various cultures can be articulated. The widespread ratification of international human rights agreements such as those listed above is taken as evidence that these are widely shared values. Having human rights norms in place imposes certain requirements on governments and legitimizes the complaints of individuals in those cases where fundamental rights and freedoms are not respected. Such norms constitute a standard for the conduct of government and the administration of force. They can be used as “universal, non-discriminatory standards” for formulating or criticizing law and act as guidelines for proper conduct. To protect human rights is to ensure that people receive some degree of decent, humane treatment. Because political systems that protect human rights are thought to reduce the threat of world conflict, all nations have a stake in promoting worldwide respect for human rights. International human rights law, humanitarian intervention law and refugee law all protect the right to life and physical integrity and attempt to limit the unrestrained power of the state. These laws aim to preserve humanity and protect against anything that challenges people’s health, economic well-being, social stability and political peace. Underlying such laws is the principle of nondiscrimination, the notion that rights apply universally. In some cases, the perceived need to protect human rights and maintain peace has led to humanitarian intervention. There is evidence that internationally we are moving towards the notion that governments have not only a negative duty to respect human rights, but also a positive duty to safeguard these rights, preserve life and protect people from having their rights violated by others. Many believe that states’ duties to intervene should not be determined by proximity, but rather by the severity of the crisis. This argument suggests that different states have different conceptions of justice, and international coexistence depends on a pluralist ethic whereby each state can uphold its own conception of the good. Among this group, there is “a profound skepticism about the possibilities of realizing notions of universal justice.” States that presume to judge what counts as a violation of human rights in another nation interfere with that nation’s right to self-determination. Suspicions are further raised by the inconsistent respect for sovereignty (or human rights for that matter); namely, the Permanent Members of the UN Security Council have tremendous say over application of international principles. In addition, requiring some country to respect human rights is liable to cause friction and can lead to far-reaching disagreements. Thus, acts of intervention may disrupt interstate order and lead to further conflict. Even greater human suffering might thereby result if states set aside the norm of nonintervention. Many note that in order to truly address human rights violations, we must strive to understand the underlying causes of these breaches. These causes have to do with underdevelopment, economic pressures, social problems and international conditions. Indeed, the roots of repression, discrimination and other denials of human rights stem from deeper and more complex political, social and economic problems. It is only by understanding and ameliorating these root causes and strengthening both democracy and civil society that we can truly protect human rights. In the aftermath of conflict, violence and suspicion often persist. Government institutions and the judiciary, which bear the main responsibility for the observation of human rights, are often severely weakened by the conflict or complicit in it. Yet, a general improvement in the human rights situation is essential for rehabilitation of war-torn societies. Many argue that healing the psychological scars caused by atrocities and reconciliation at the community level cannot take place if the truth about past crimes is not revealed and if human rights are not protected. To preserve political stability, human rights implementation must be managed effectively. Issues of mistrust and betrayal must be addressed, and the rule of law must be restored. In such an environment, the international community can often play an important supporting role in providing at least implicit guarantees that former opponents will not abandon the peace. Because all international norms are subject to cultural interpretation, external agents that assist in the restoration of human rights in post-conflict societies must be careful to find local terms with which to express human rights norms. While human rights are in theory universal, ideas about which basic needs should be guaranteed vary according to cultural, political, economic and religious circumstances. Consequently, policies to promote and protect human rights must be culturally adapted to avoid distrust and perceptions of intrusion into internal affairs. To promote human rights standards in post-conflict societies, many psychological issues must be addressed. Societies must either introduce new social norms or reestablish old moral standards. They must design programs that will both address past injustice and prevent future human rights violations. Human rights must not become just another compartmentalized aspect of recovery, but must be infused throughout all peacebuilding and reconstruction activities. Democratization implies the restoration of political and social rights. Government officials and members of security and police forces have to be trained to observe basic rights in the execution of their duties. Finally, being able to forgive past violations is central to society’s reconciliation. As violent conflict begins to subside, peacekeeping strategies to physically separate disputants and prevent further violence are crucial. These measures, together with violence prevention mechanisms, can help to safeguard human lives. Limiting the use of violence is crucial to ensuring groups’ survival and creating the necessary conditions for a return to peace. Education about human rights must become part of general public education. Technical and financial assistance should be provided to increase knowledge about human rights. Members of the police and security forces have to be trained to ensure the observation of human rights standards for law enforcement. Research institutes and universities should be strengthened to train lawyers and judges. To uphold human rights standards in the long-term, their values must permeate all levels of society. Truth commissions are sometimes established after a political transition. To distinguish them from other institutions established to deal with a legacy of human rights abuses, truth commissions can be understood as “bodies set up to investigate a past history of violations of human rights in a particular country — which can include violations by the military or other government forces or armed opposition forces.” They are officially sanctioned temporary bodies that investigate a pattern of abuse in the past. Their goal is to uncover details of past abuses as a symbol of acknowledgment of past wrongs. They typically do not have the powers of courts, nor should they, since they do not have the same standards of evidence and protections for defendants. As such, they usually do not “name names” of those responsible for human rights abuses, but rather point to institutional failings that facilitated the crimes. Finally, they conclude with a report that contains recommendations to prevent a recurrence of the crimes and to provide reparations to victims. Various democratization measures can help to restore political and social rights. For sustainability and long-term viability of human rights standards, strong local enforcement mechanisms have to be established. An independent judiciary that provides impartial means and protects individuals against politically influenced persecution must be restored. Election monitors who help to guarantee fair voting procedures can help to ensure stable and peaceful elections. And various social structural changes, including reallocations of resources, increased political participation, and the strengthening of civil society can help to ensure that people’s basic needs are met. Humanitarian aid and development assistance seeks to ease the impact that violent conflict has on civilians. During conflict, the primary aim is to prevent human casualties and ensure access to basic survival needs. These basics include water, sanitation, food, shelter and health care. Aid can also assist those who have been displaced and support rehabilitation work. Once conflict has ended, development assistance helps to advance reconstruction programs that rebuild infrastructure, institutions and the economy. This assistance helps countries to undergo peaceful development rather than sliding back into conflict. At the same time, some would argue that the hegemonic power of the West, whether through normative pressure or economic, is responsible for widespread ratification. Antonio Cassese, Human Rights in a Changing World. (Philadelphia: Temple University Press, 1990), 2. Little, “The Nature and Basis of Human Rights,” United States Institute of Peace. Hubert and Weiss, et al., 147. Kithure Kindiki, “Gross Violations of Human Rights in Internal Armed Conflicts in Africa: Is There a Right of Humanitarian Intervention?” in Conflict Trends, no. 3, 2001. ACCORD. Martha Finnemore, The purpose of intervention: changing beliefs about the use of force. (Ithaca, Cornell University Press, 2003), chapter 3. Hubert and Weiss, et al., 132.
z Hubert and Weiss, et al., 133. See for example, Barbara F. Walter, Committing to peace: the successful settlement of civil wars. (Princeton, N.J., Princeton University Press: 2002). Priscilla B. Hayner, (1994). “Fifteen Truth Commissions – 1974 to 1994: A Comparative Study.” Human Rights Quarterly. 16(4): 604. 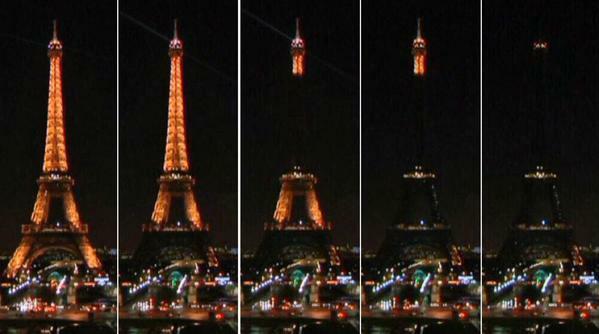 Sympathies to the victims in France, their families and loved ones. All lives matter.